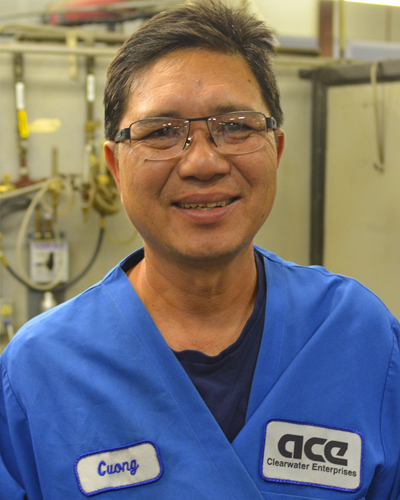 Cuong is nothing less than an incredible welder. He is very conscientious, and one of the most productive in the shop. His work is always of the highest quality and has the least number of DMR’s. He’s renowned for his dependability and consistent excellence. We’re incredibly grateful for his amazing work ethic. Cuong is a true ACE VIP and PRO!